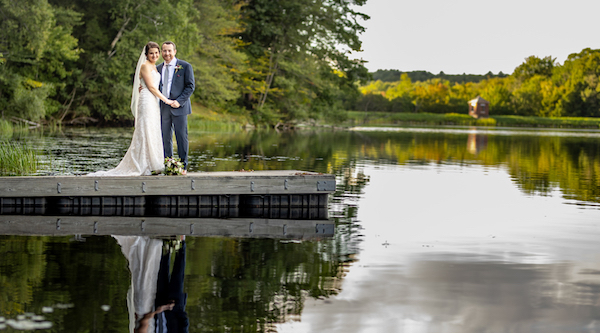 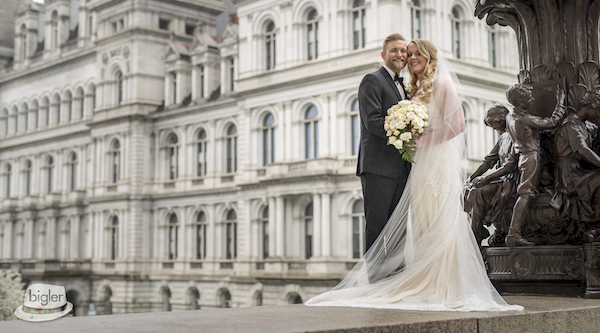 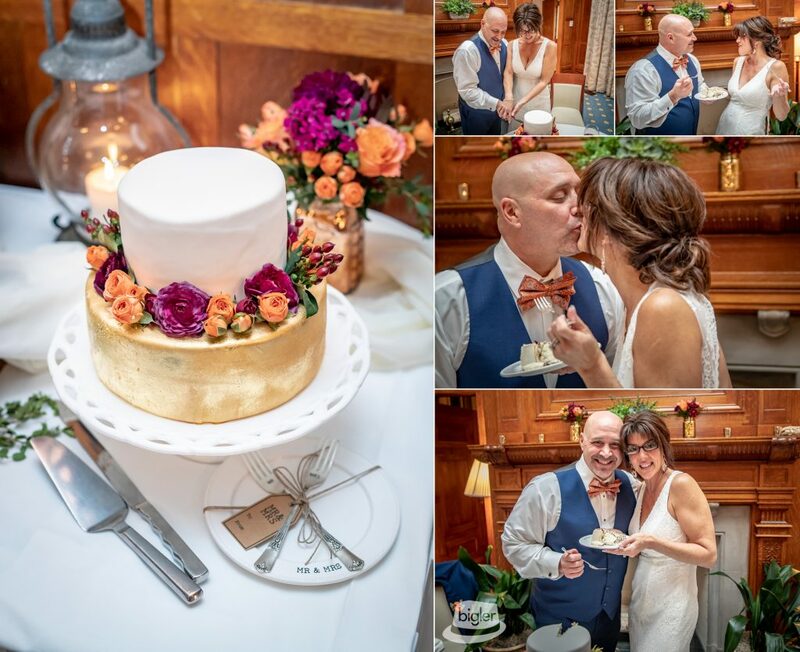 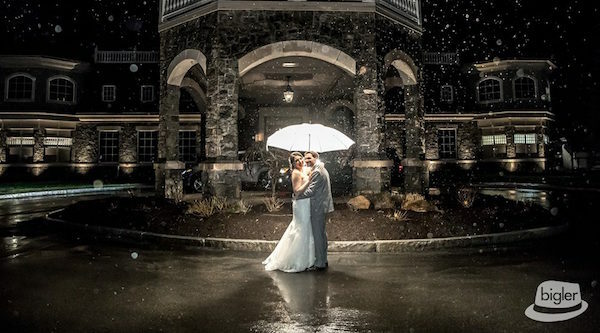 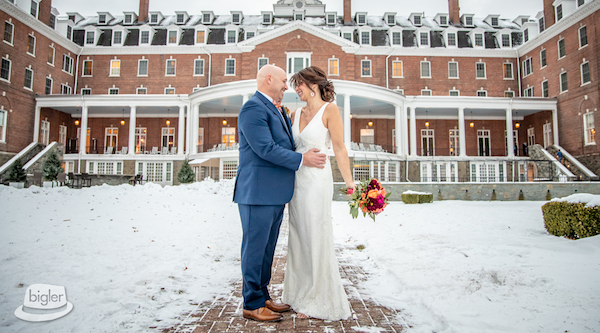 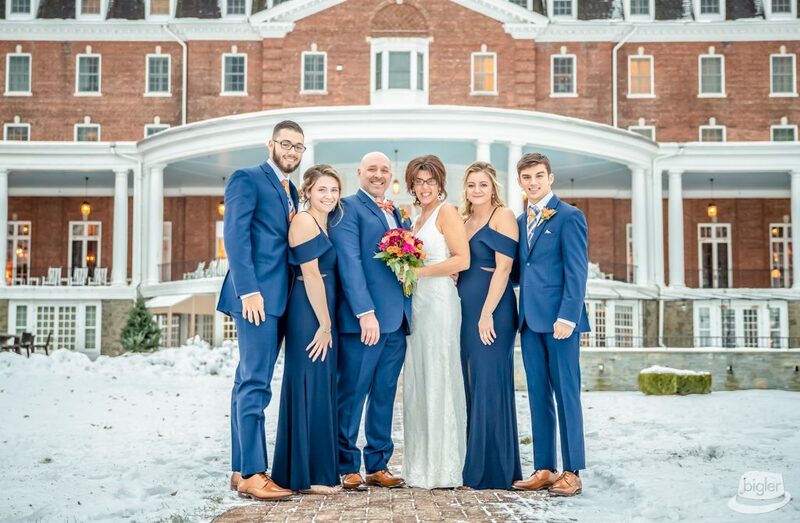 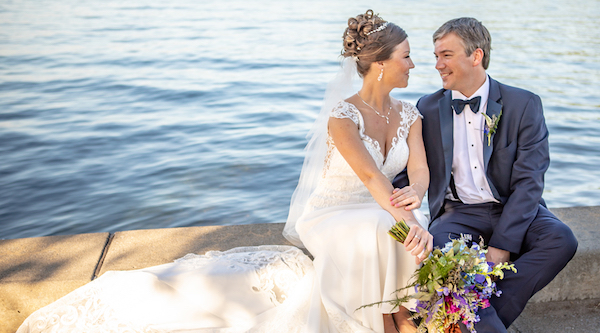 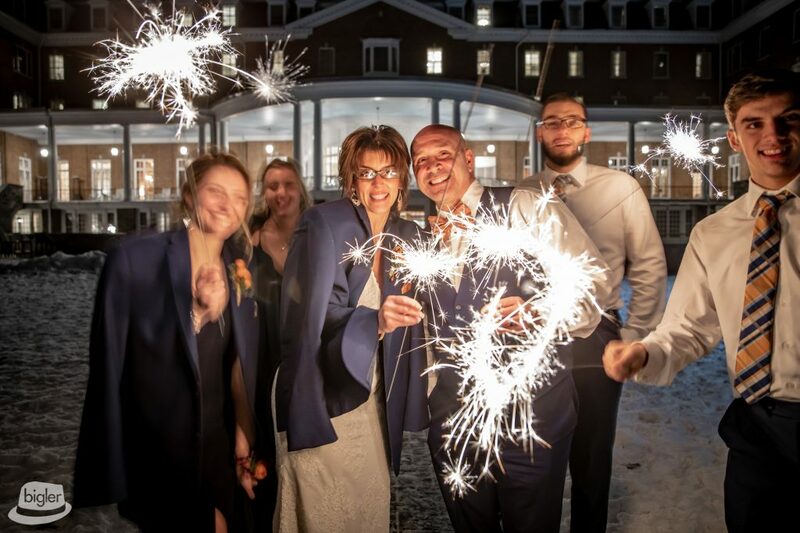 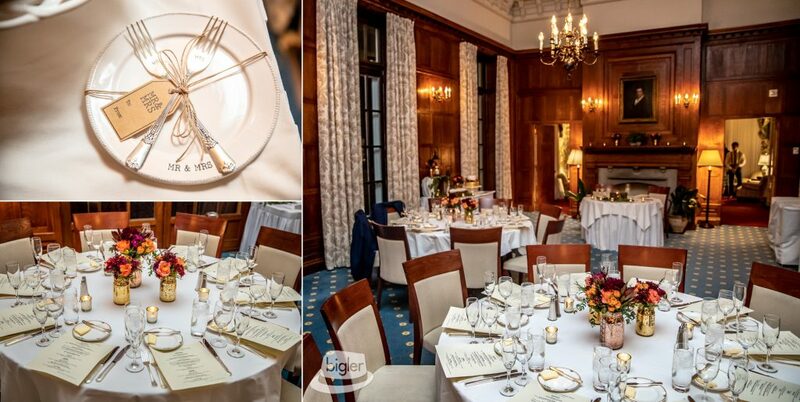 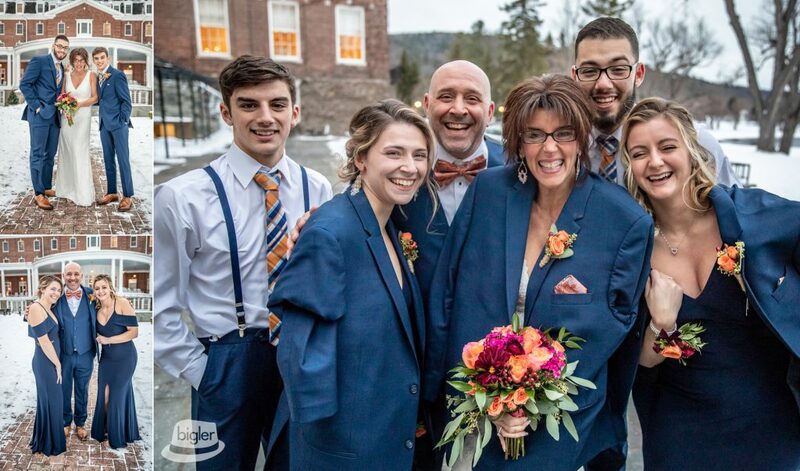 Our Bigler Weddings lead photographer, Dave Bigler kicked off winter with an amazing couple and their families at a spectacular intimate wedding at the breathtaking Otesaga! 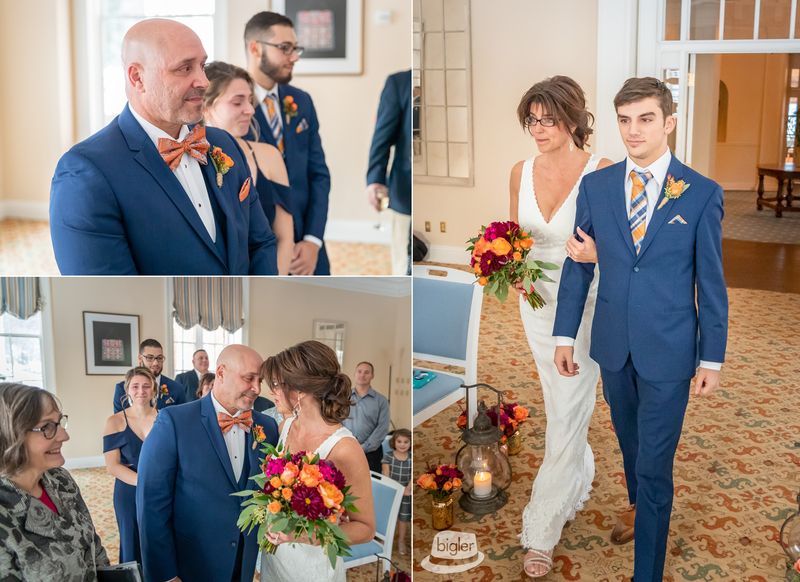 Melissa and Richard started the day in separate suites, each with two bridesmaids and groomsmen respectively, making this day even more special- this bridal party was composed fully of the couples’ children! 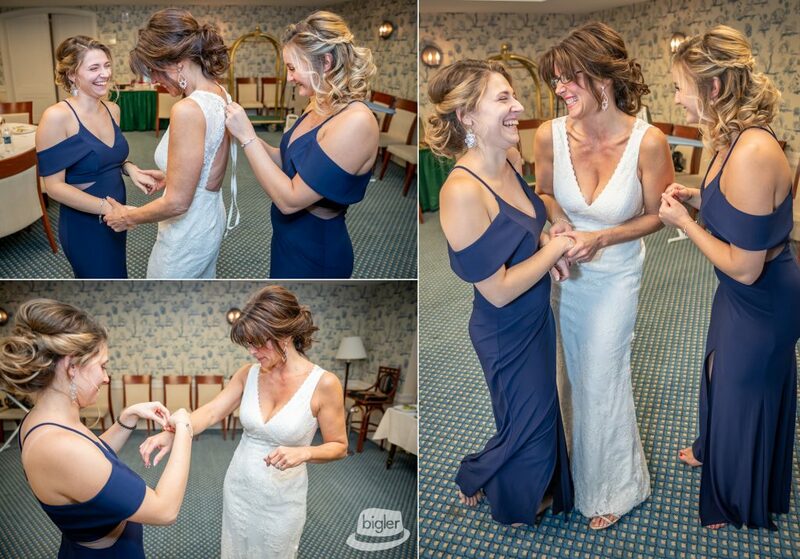 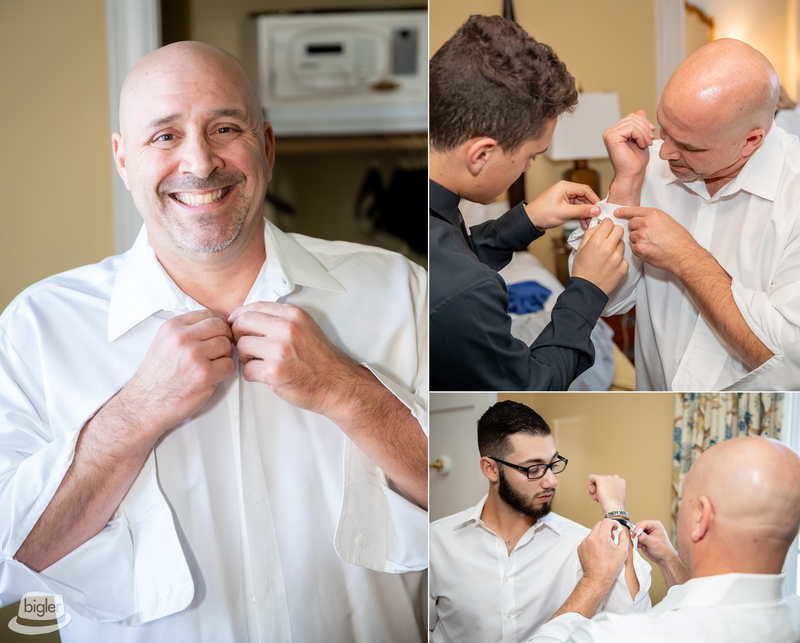 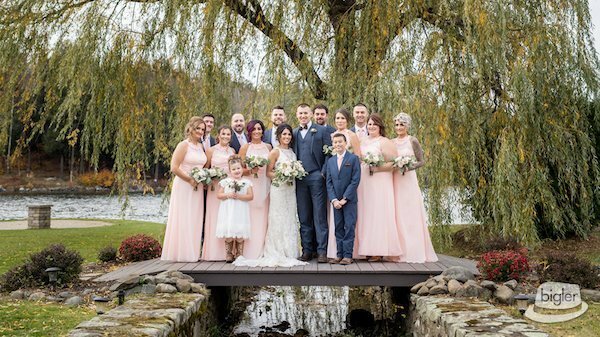 Melissa and the ladies were pampered by Renee from Timeless Salon & Studio as Richard and the guys got dressed in suits from the Men’s Wearhouse. 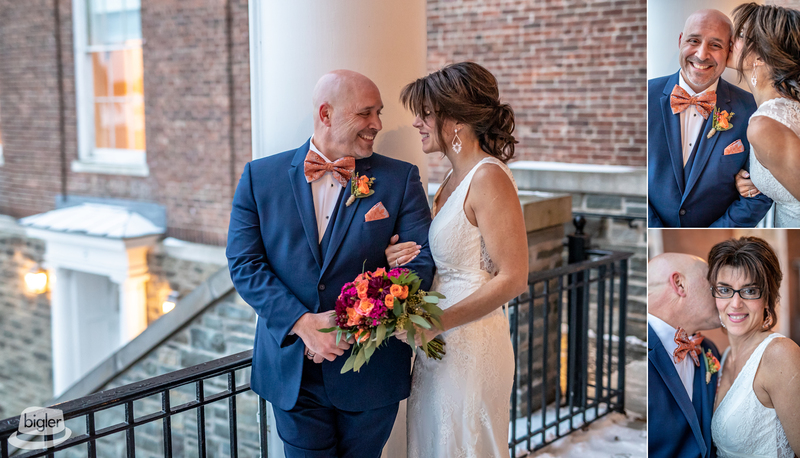 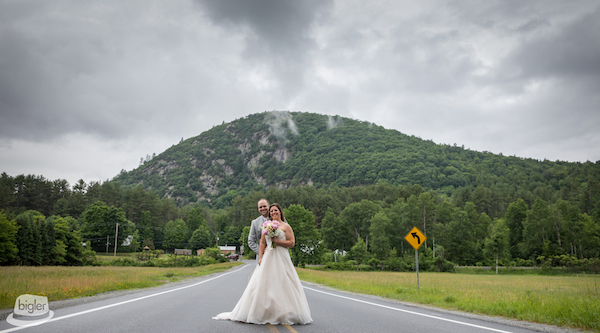 After a few fun photos out in the snow, Melissa stepped into her simply elegant gown from David’s Bridal. 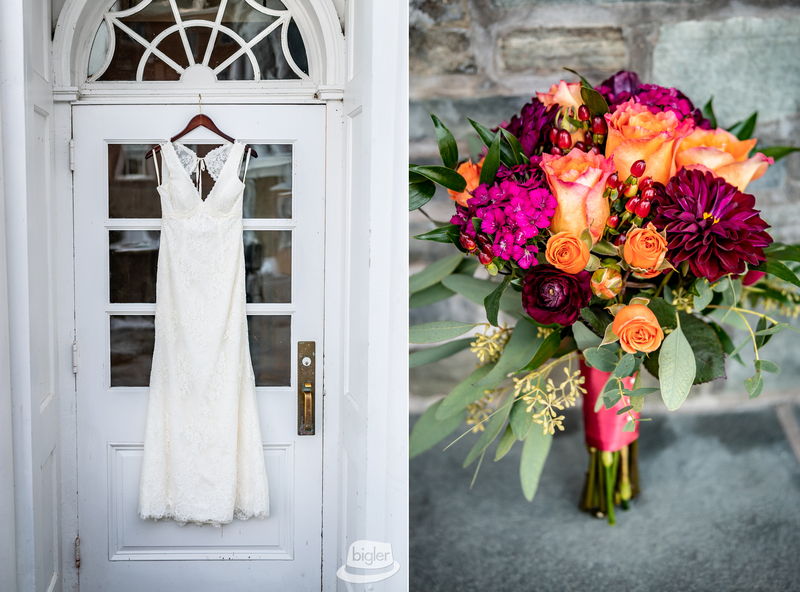 Amidst the winter scene, stunning pops of color from florist A Rose is a Rose added rich plum and vibrant hues of orange. 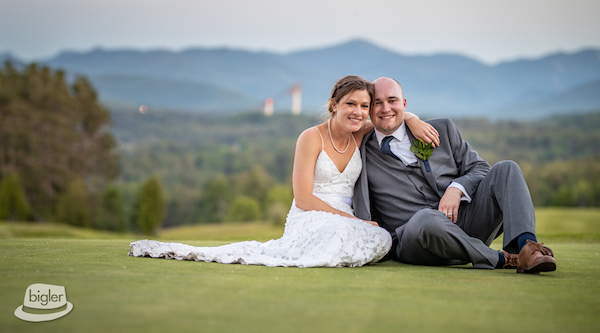 Following the Ceremony, a private dinner full of laughter, love, dancing, and shenanigans topped off the perfect day!